The first song is Talk About You, I think this is a great start to the album, it is a happy and uplifting song although the chorus can get a bit repetitive, I think it works well that way. This song was released in the UK as a single and he performed it on the one show. All She Wants is interesting and this one got stuck in my head first! The meaning of this song is quite interesting! Last Party, is in my opinion not his best ballad. I do really like the Sinfonia Pop version though. Good Guys confused me at first, I had to check the forums and realised it was about Mika’s role models. I like the instrumental but I don’t really like the girls voice. The night time remix is as good too. Oh Girl You’re The Devil reminds me of Jackson 5’s ABC especially during the chorus, did anyone else think this? At first I didn’t like this song because of the deep voice (that is Mika’s voice right?🤔) but after a few more listens I realised it does work so I do like this one! No Place In Heaven, the title track wouldn’t sound out of place on one of his earlier albums (TBWKTM). The song is ok but it doesn’t stand out for me. I really like Staring At The Sun, I think I will listen to this song a lot especially in the summer! I really like the music video too. There is a French version which is also nice. Hurts is too slow for me. I like the remix version better as I’m not a big fan of slow songs. I think lyrically it’s the best song on the album! It isn’t a Mika album without a song with a story and Good Wife is that song! It reminds me a bit of Billy Brown, its decent but not my favourite. Ordinary Man is the best ballad on the album for me. I think it’s the most personal song on the album. The first deluxe song is Promiseland, I liked this from the first listen. The lyrics are interesting, reading the forums it seems like it’s about the music industry? I was also surprised to find live performances of this song on YouTube as Mika doesn’t seem to like performing deluxe tracks. Porcelain is dreamy sounding, it’s not my favourite and I don’t think it has replay value like the other songs on the album. 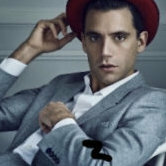 L’amour Fait Ce Qu’il Veut is the last song on the deluxe album and I like it, it’s groovy, my favourite non-English Mika song at the moment. For some of the special edition tracks there’s Boum Boum Boum, his most popular song from this album. The music video is really great, the production is very high quality. I don’t understand anything in Je Chante but the video is very memorable and unique! Beautiful Disaster is good, I’ve only heard it once so far so I can’t say much but I prefer this version then the one with Fedez. Lastly Feels Like Love is nice as well. I actually don’t own the special edition yet, it is quite hard to find for a decent price! So overall with all 4 Mika albums out now I think the consensus within this forum is that this album is the most liked and The Origin Of Love seems be the most disliked. At this point I can’t rank them 1-4, none of the albums are bad at all, each one has really good songs but I think Life In Cartoon Motion will always be my number one for nostalgia but I think No Place In Heaven gets better every time I listen to it! It’s hard to do a Top 5 when there’s more than 20 songs part of this album as a whole but for now I would say it is: Staring At The Sun, Talk About You, Promiseland, All She Wants and Oh Girl You’re The Devil. I would love to know what your favourite songs are and what you think of it now, almost 4 years later, is it Mika’s best album, so far? My favorite songs of the album are Rio & L’Amour Fait Ce Qu’Il Veut and I like No Place In Heaven and Good Guys as well. I like the other songs too, but these ones are kinda special for me because the remind me of my middle school exams. In particular Rio is the most special of MIKA’s songs for me, it relaxes me a lot and it makes me think positive just from the first line “Oh here I go again...”. I don’t know why, but I don’t like Staring At The Sun so much. Everyone loves it but it isn’t like other MIKA’s song, I can’t keep it playing for an entire hour without getting bored. I know it has an amazing meaning, but I don’t like the melody so much. I think, my favorite song on npih is Promiseland. At the beginning I didn't listen to this album too much, just 1-2 song but now I love. I cannot stand without Promiseland. "Prayed every night to a religion that was chosen for me" this lyrics really for me. I love Oh girl you're the devil, I don't think the lyrics too much, the melody so fit for me. First days I listened to much Staring At The Sun but nowadays not a lot, maybe I get used to this song. I cannot say something about Beautiful Disaster. I love Fedez. What can I want? Feels Like Love is so cool song, I memorized it so easy but also it's not available on Apple Music. I can listen just on youtube so..
Every album has a mood. They give us different feeling, different thoughts. NPIH tell us more different thing from others. LICM, TBWKTM... The new album would be different from the others.